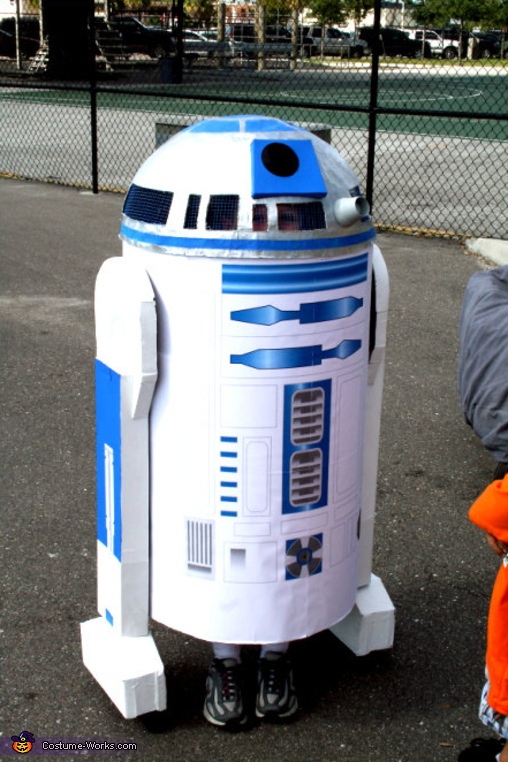 This is 6 yr. old Logan as R2D2.The lovable Star Wars Robot. LOTS of work went into this Costume by Logan's Dad, Rick. Rick says that one of the best features... (which cannot be "seen" in the Photo...) is the continuous R2D2 sounds eminating from the lil guy ...by way of IPod and speakers installed by Rick. Thanks so much Rick and Logan!